Between living with roommates post-college and now my husband, I think I’ve tried every subscription meal box out there. Although by the time you read this, I’d bet a new food subscription box company has probably been born. For me, they are a blessing and a curse. On the one hand, these companies offer convenience and time-saving. But on the other, I find them to be frustrating more often than not. I use cooking as therapy: an outlet for my creativity. I like to think outside of—well—the box. I don’t like to follow rules, in the kitchen and in life. With an unpredictable weekly schedule usually jam-packed with events and travel, schlepping to-and-from the grocery store can be a daunting—and more importantly—wasteful exercise. There is nothing I hate more than having to throw away food we couldn’t consume before it spoiled. Last Tuesday, I came home to the most beautiful grocery delivery I’ve ever received, courtesy of FreshDirect. Just look at that spread—and all from one store! As we unpacked organic chicken, gourmet coffee beans, and heirloom carrots, my husband and I realized that this was the happy medium we’d been seeking. FreshDirect offers the convenience of ordering your groceries at the touch of a button with its awesome app. The groceries arrive at your doorstop. 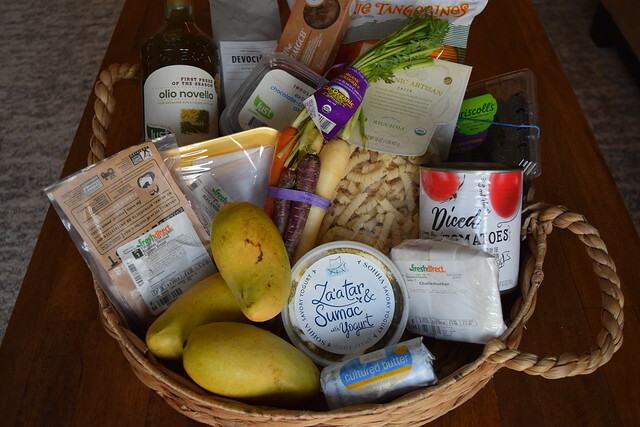 The groceries are right from the local grocerystore, so you’re able to eat healthy, and not forced to eat random carb-loaded meals from subscription boxes. It’s the trifecta of modern day grocery shopping. 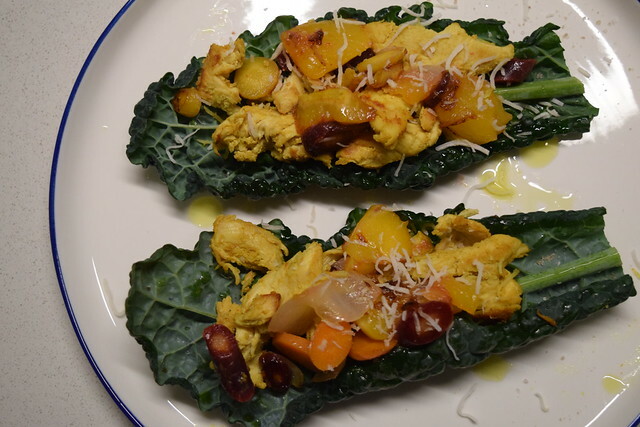 After a run along the river, we started to whip up these mango chicken lettuce wraps with the organic chicken, fresh mangos, heirloom carrots, and olive oil. 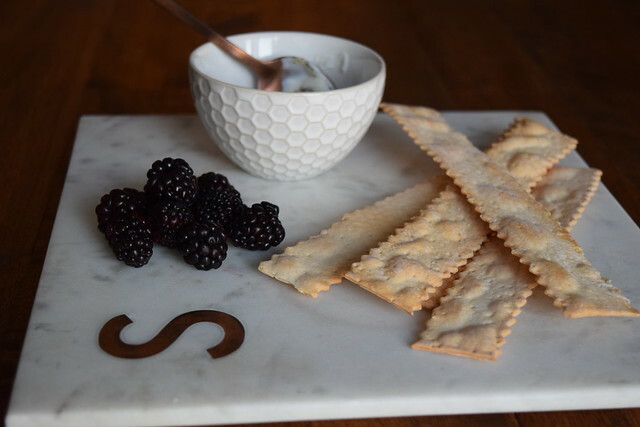 While cooking, we noshed on a delicious little appetizer of rosemary and sea salt crackers, a savory yogurt spread, and fresh blackberries—all brought to us by FreshDirect. Here’s the recipe, with the products all easily available at your local grocery store, or via delivery. Add in the mango chunks, onion, and lime juice and stir together. Cook for an additional 5 minutes or until chicken is cooked all the way through. To assemble the wraps, top your lettuce wraps with the carrots and then top with the mango chicken mixture. Optional: top with a bit of cilantro, extra mango, shredded coconut (pictured here) and lime juice.